In an effort to position themselves amongst tire-kicking clients, freelancers often use metaphorical comparisons. Whereas some freelance professionals are like Yugos in cost and value, others are a Mercedes Benz. On the other hand, if I, as a writer and designer, could be a hotel, I’d want to be Congress Hall (which in car terms is a middle to high level, fully loaded Ford Mustang Convertible—sweeeet!). 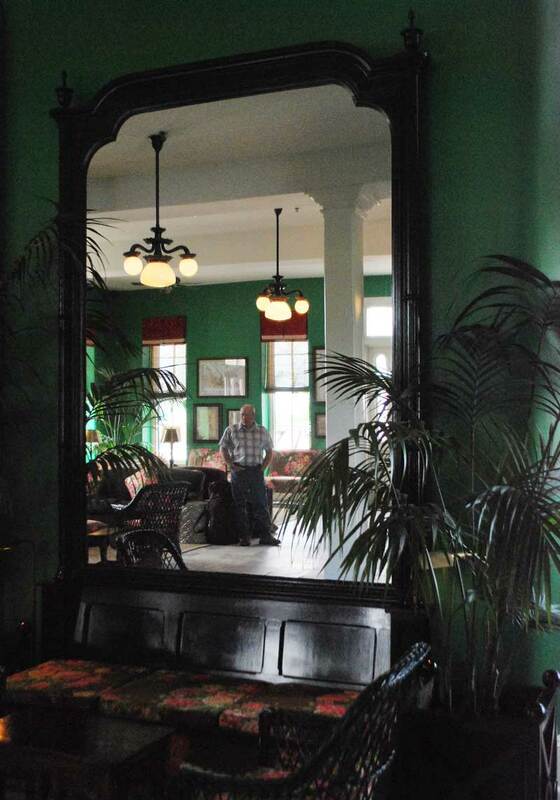 My husband and I stayed in this historic hotel last week while vacationing in Cape May, NJ. It certainly wasn’t the cheapest lodging in town. But it wasn’t the most expensive either. 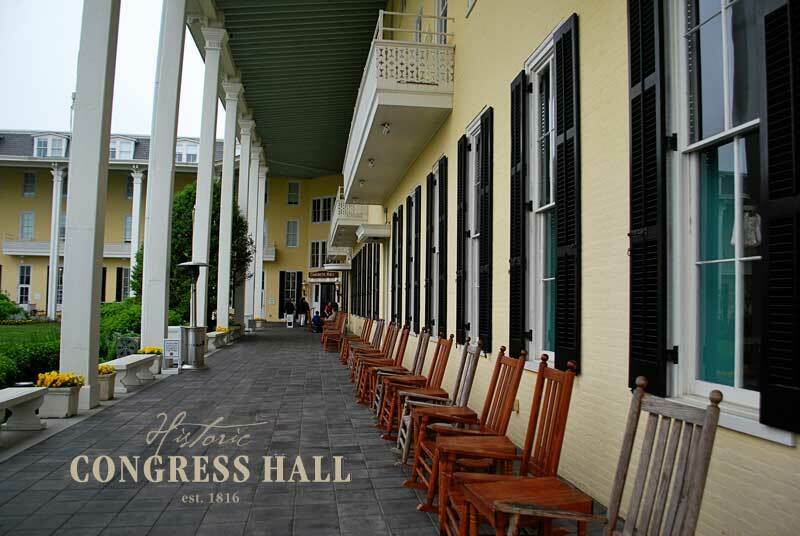 Here’s why staying at Congress Hall rather than a Red Roof Inn made our vacation so memorable. And here’s why the hotel’s ultimate value was very much worth its extra cost. The minute we stepped into this beautiful lobby, I felt embraced by a timeless, seaside charm. There was a wedding reception going on and the grounds were abuzz with guests, but the hotel clerk still managed to make us feel welcomed and special. 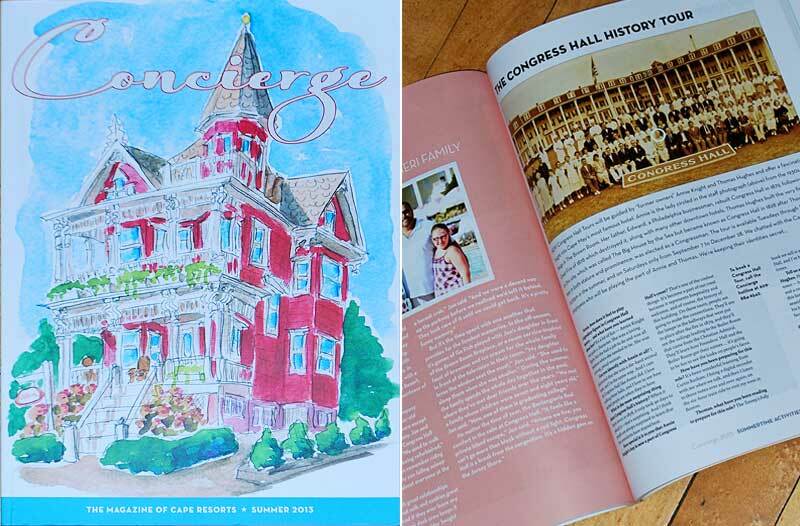 Congress Hall is actually part of the Cape Resorts Group, which includes a B&B, boutique inn, and other lodging venues. Upon checking in, we received this gift of a 155-page concierge book. It’s super interesting—everything from histories of its properties and menus of its restaurants, to what’s happening in the area and stories of people who regularly visit. And wow, check out the Summer 2013 date! Does the group reprint this book every season? It’s like someone really cares enough to keep me informed. Okay, okay. The marketing professional in me knows the overall objective of this book is to toot the Cape Resort’s horn. But it’s done in such an intriguing, storytelling way, I can’t help being drawn in. If the group puts this much care and intention into one concierge book, it surely will do the same with other things. He also said details make the product. So it is for the historic hospitality industry. 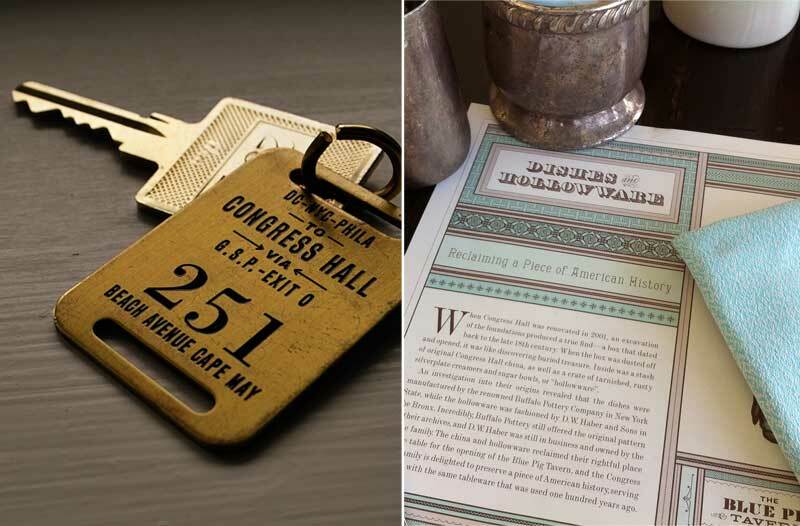 The Congress Hall room keys were inspired by an old mailbag tag used on the Washington D.C.- Cape May line. The tables in the hotel’s Blue Pig Tavern are adorned with antique china and holloware discovered during a 2001 renovation. As a history buff, I was swooning! In addition to its lodging venues, the Cape Resorts also offers several restaurants, coffee shops and food services. We ate a breakfast and dinner at the Blue Pig Tavern and the food was delicious. What I loved most was, not only was the seafood fresh, so was the produce. Credit Beach Plum Farm for this. 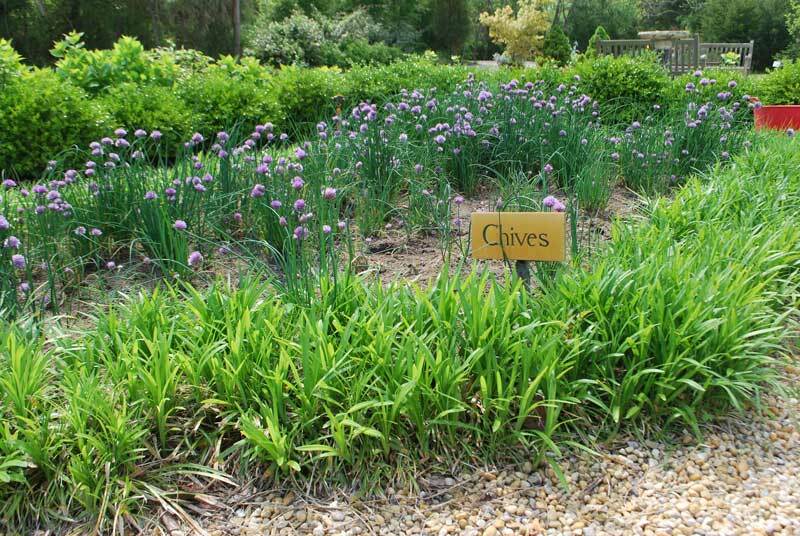 According to the concierge book, this 62-acre farm raises more than 100 varieties of fruits, vegetables, herbs and flowers—all for the group’s restaurants. As we toured the farm, we also saw egg-laying hens, pigs, sheep and beehives. Isn’t that awesome? The minute we tasted our Caesar salads, my husband and I knew they were made with homegrown garlic (we also grow our own). We’re not exactly food connoiseurs, but fresh, homegrown and cooked-from-scratch food certainly stands out! So, yeah. Even though I’ve been back in my beloved office for nearly a week, it’s obvious I’m still in a traveler’s nostalgia. 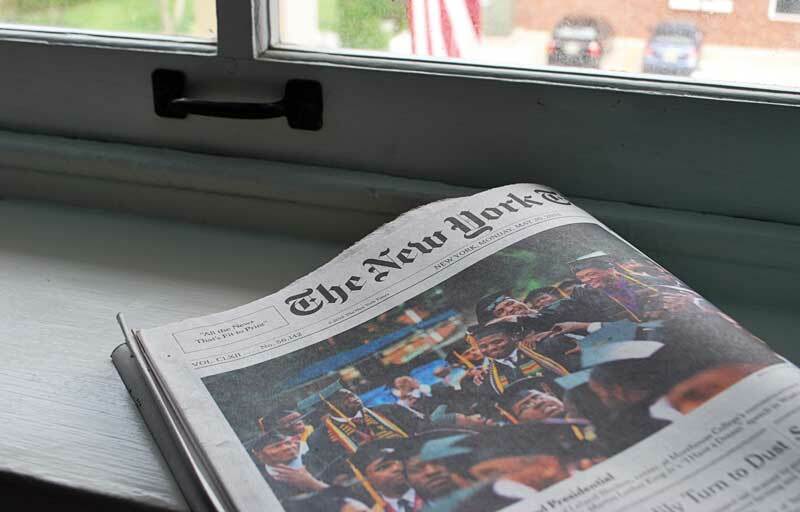 I long once again for the New York Times delivered to my door each morning and the relaxed moments sitting in a coffee shop with my husband (ah, I think I’ve finally enlightened him of this great joy in life:-). Until then, I’m striving to be the Congress Hall of words and design. My daughter was married and celebrated her wedding at Congress Hall in December 2012. The family if Congress Hall made us feel like THEIR family. It was truly a magical memory for us. By the way, you’ll have to try visiting around the holidays – the decor is just beautiful then also! Joan, I bet your daughter’s wedding was stunningly beautiful! Now, I want to go there in December just to see the holiday decor.